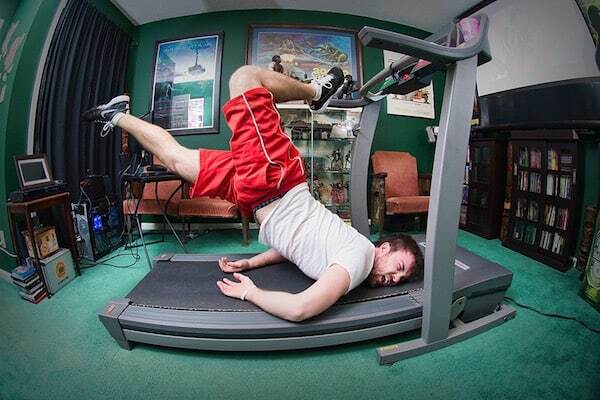 15 Most Hilarious Treadmill Fails of All-Time! When you think of a treadmill, you think of exercise equipment that can help you melt away the pounds and live a longer, healthier life. You don’t think of it as a harbinger of doom and viral humiliation on the Internet. But for the 15 people you’re about to meet, it became just that! Now a word before we begin: when you fall off a treadmill at a high rate of speed, there is a better than 50% chance you’re going to say some colorful things. Such is the case here. If you’re at the office, consider muting — or at least turning down — your speakers. You don’t want the occasional interjection finding its way from your computer to your boss’s ears. Don’t worry, though. These are funny with or without the sound.